One of the most fascinating things about fishing is style. Style can be aggressive, subtle. Some anglers walk the fence, and some jump back-and-forth. In the gray areas between the extremes lay thousands of approaches to simply fishing vertically below a hole in the ice. One intriguing element is how conditions and other factors can ordain one style today and a different style tomorrow, while people fishing different styles side-by-side sometimes catch equal numbers of fish. 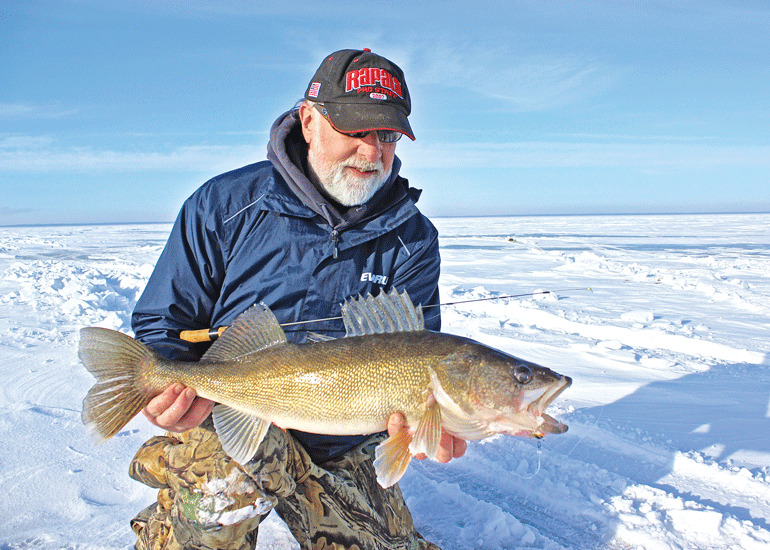 One day last winter I sat next to famous pro and fishing instructor Mark Martin on Saginaw Bay. In 11 to 12 feet of water there, no depth finder is required. The water, clear as air, allowed us to watch one giant walleye after another come sniffing around our baits. I fished a Jigging Rapala tipped with a minnow head while Martin fished a jig with a whole minnow. Each walleye that appeared would initially glide right up to the more aggressive attracting qualities of the Rapala. And, invariably, each one would sniff, taste, and nudge the bait but refuse to bite. She didn’t. And neither did any others. We were both blanked, though we saw and attempted to trigger more fish than any of the students that day at Martin’s Ice Fishing Vacation School. One small walleye was caught as conditions or some unknown factor made the fish curious and seemingly active yet reluctant to bite. So we learned nothing new about contrasting styles, but one of those unknown factors may have been the built-in Titanium REC Recoil tip on my Thorne Brothers Quiverstick ($96.99). It’s a favorite weapon, but was the titanium—stiff and memory free as it is—still too soft to produce the right lure action with a Rapala? It was a “welter weight” model—size 5. I thought the tip made it dance just right. Besides, once a walleye came in, aggressive jigging would spook it. The point, however, is titanium spring bobbers and built-in tips aren’t just for panfish or deadsticks. Due to the qualities of titanium, spring bobbers and tips can now be adapted to any style. Some spring bobbers and titanium tips are made with heavier gauge wire that balances better with heavier jigs. Actually, spring bobbers require a jig heavy enough to load the spring to be effective. The tip should bend down by at least 10­-percent under the weight of the jig, so a fish rising with the bait straightens the tip. Being able to detect delicate “down bites” is a great benefit, but delivering instant evidence of an “up bite” is one key advantage of titanium. The Quiverstick tip effectively presents small to midsize Jigging Raps and similar lures like the Lunkerhunt Straight Up. Spring tips aren’t just for panfish anglers anymore. Titanium is, perhaps, the ultimate material for a rod tip or spring bobber. It won’t kink or bend, delivers awesome bite sensitivity, and is stiffer than steel wire with the same diameter. Several companies incorporated built-in titanium tips on ice rods since the Quiverstick came out. 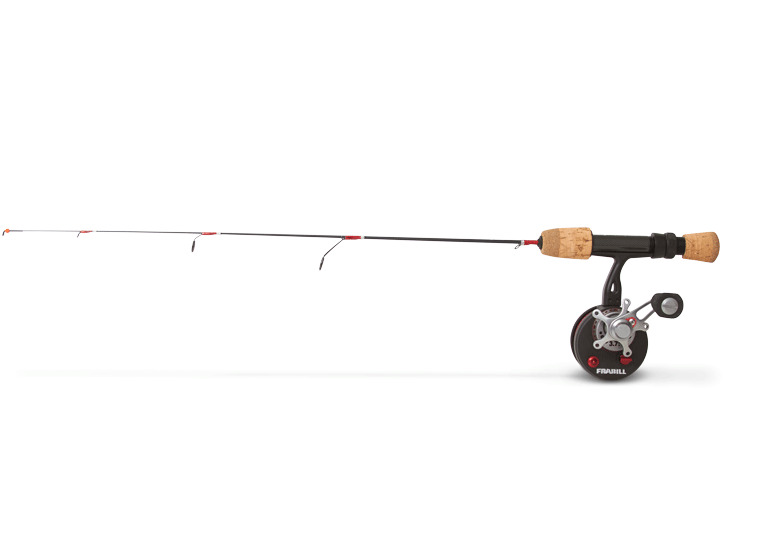 Another one of my favorites last winter was Clam’s Dave Genz Legacy Rod ($99). The 26-inch version has a built in Nitinol tip (Nitinol is nickel titanium) that telegraphed the lightest crappie bites and held up to larger tungsten jigs. The blank is fast but forgiving—sensitive but tough. The Acme Tackle Beaver Dam Titanium Tip Ice Rod ($49.95) has a built-in retractable bobber—the only one of its kind—making it adaptable to every size lure the blank can handle. The sensitive, high-modulus, carbon-fiber blanks appear in two strengths and lengths—23-inch light and 26-inch medium light. 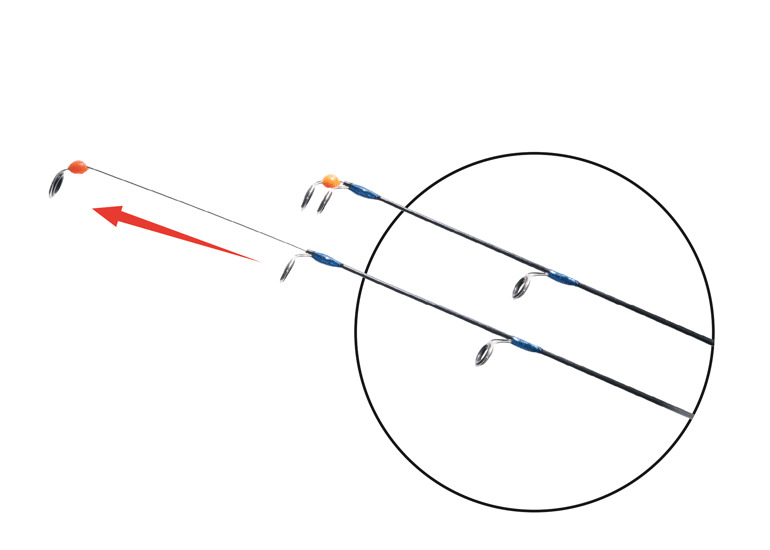 Now ice anglers have the option to fish with or without a spring bobber without detaching tips or switching sticks. Keep the spring bobber recessed to effectively fish heavy spoons, fully extend it to downsize and detect light bites, or fish moderately heavy lures with the tip halfway out. The biggest fish of all species in our pressured lakes might stare minnows down for quite a while. “We catch giant bluegills and other species doing this, too,” he says. “In the past we would move on quicker. Now, if we’re seeing fish, we stick around longer. I was skeptical at first, but deadsticking proved it fools bigger fish. We were too impatient, jigging aggressively and moving on. Minnows on a deadstick sit in one spot for longer periods. The only thing more effective is an Automatic Fisherman, but we can’t use those in Minnesota. Attachable titanium spring bobbers provide the option of choosing light wire, for light lures or heavy wire, for larger lures. Ice Strong Titanium Spring Bobbers ($10 apiece, $25 for 3-packs) come in three strengths—30-, 40-, and 70-pound test—with recommended jig weights on the package. Each bobber is composed of single strand, super elastic, non-kinking titanium wire with a bright bead indicator that is easy to see in low-light conditions. Each bobber is made in Michigan. Rapala Titanium Spring Bobbers ($10.79 for a 2-pack) are available in either light or medium strengths with adjustable tension and high-vis indicator beads. Slide the tip toward the blank for more tension and a snappier presentation with heavier jigs. Slide it out to maximum extension for deadstick techniques and ultralight jigs. They easily attach to most ice rods. 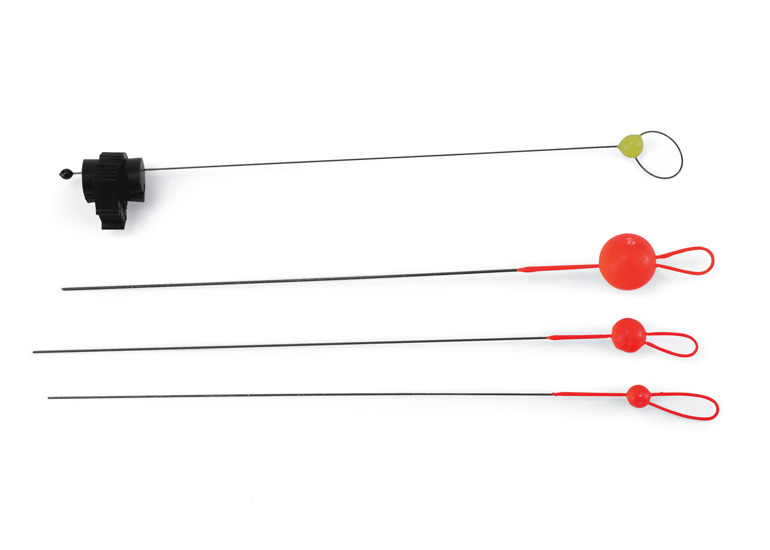 The Frabill Titanium Spring Bobber ($20.99) is “virtually weightless.” The usual high-vis bead is replaced with a brightly colored bead of epoxy that won’t dampen rod-tip action. This one fits in the tip guide of all rods on the market today and it’s adjustable, sliding in or out to balance with lures of varying weight. A host of companies are making attachable titanium spring bobbers now, because anglers like adjustable options, and titanium is better than steel. Titanium holds its shape, stays straight, and won’t kink in rod bags. It’s somewhat faster that steel, when thinking of it as a rod tip. And when built-in as a rod tip, titanium is just as durable and sensitive. No matter what style you employ—aggressive or subtle, fast or slow—there are titanium-tipped options out there to match it. 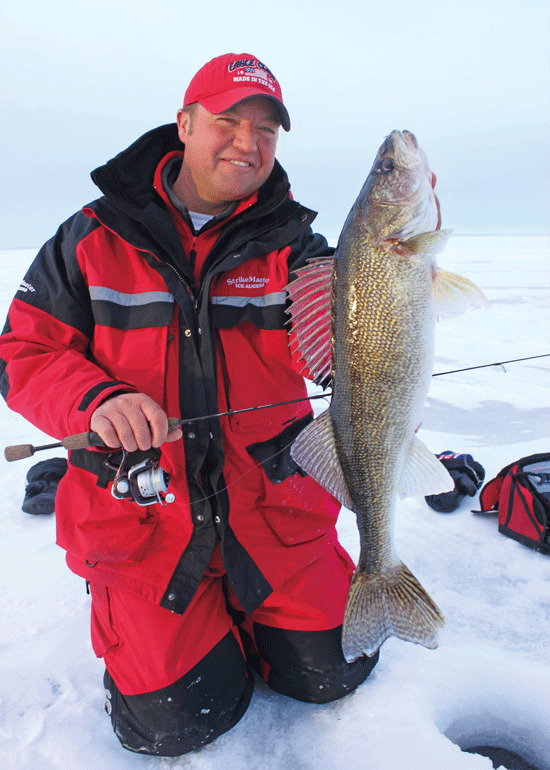 *In-Fisherman Field Editor Matt Straw is an avid ice angler and expert on rods for ice- and open-water fishing.